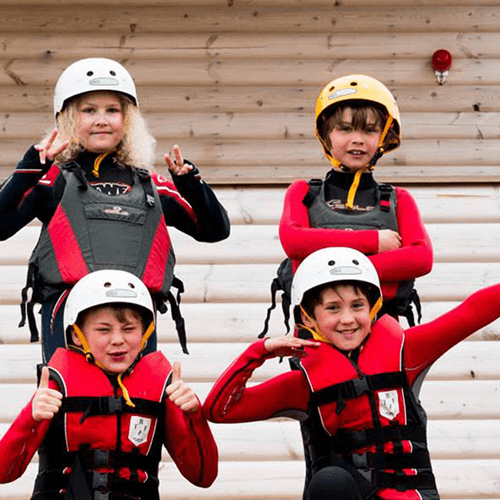 The Ultimate Adventure Centre has been providing residential experiences for Scouts, Guides and Youth Clubs for many years. 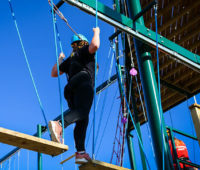 When it comes to adventure activities with a team-building twist, our group activities are unrivalled in North Devon, whether you’re looking for a high ropes experience, to take on the balls or a day out coasteering. 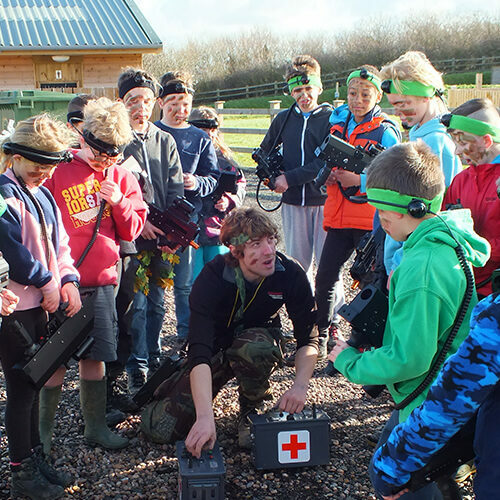 Youth group activities are a great way to build trust between members of a team or group, as well as giving each participant the change to learn new skills and develop their strengths – all while having an incredible time! 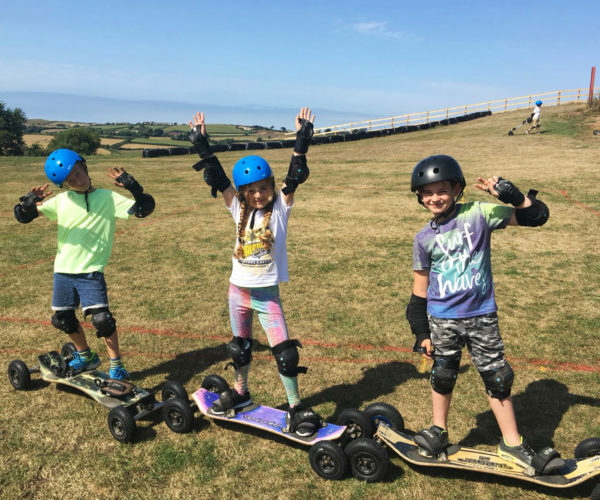 Discounts are available for many of our youth group packages that include adventure activities such as The Ultimate Assault, Aerial Adventure, laser tag, surfing, mountain boarding and coasteering. 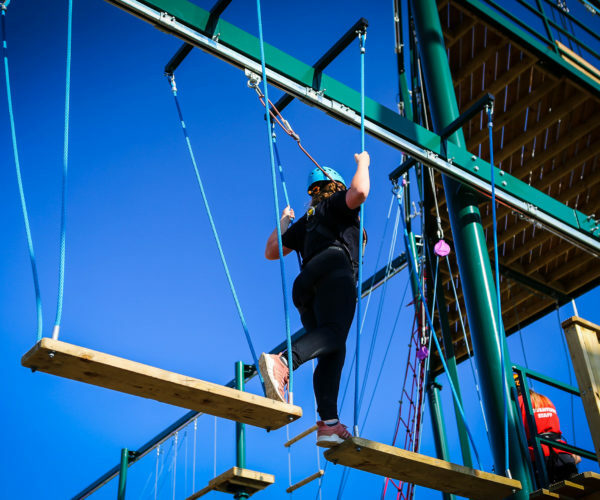 Aerial Adventure combines high ropes, climbing, Jacobs ladder & bag jump! Challenge yourself 11m from the ground - take the leap and scale the wall; it’s an activity to remember! 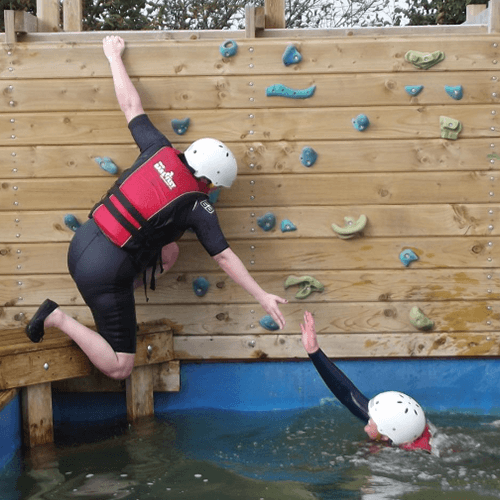 Our newly built course is one of the largest in the UK, using the most up-to-date safety systems. 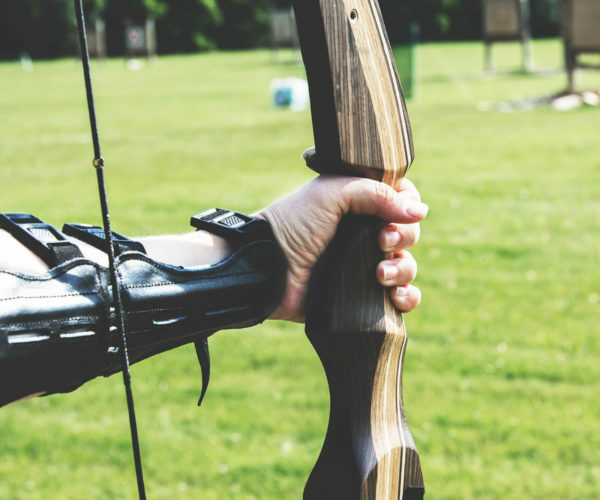 Add another string to your bow with archery at the Ultimate Adventure Centre in North Devon. 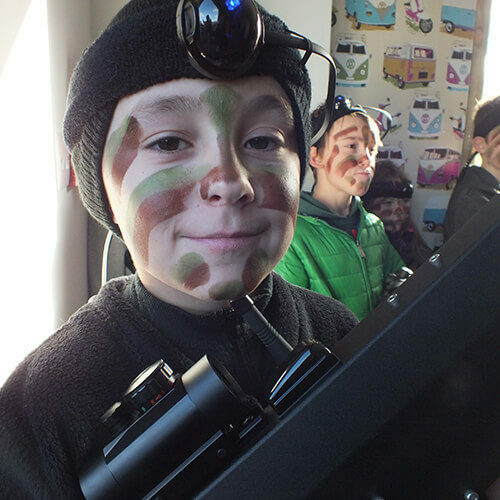 Get expert tuition from our instructors to learn all the tips and tricks in the safety of our rifle shooting range. We'll get you hitting that bulls-eye in no time! 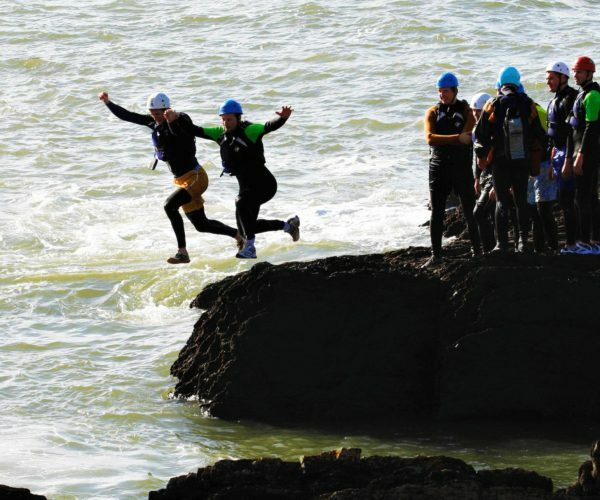 Coasteering in North Devon involves a combination of adventure sports in a truly next-level experience. 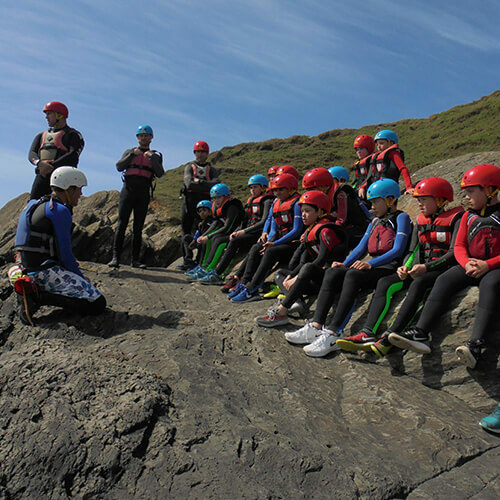 Combining elements of bouldering or scrambling and adventure swimming, a coasteering trip in North Devon is the perfect way to see the dramatic coastline in a new light. 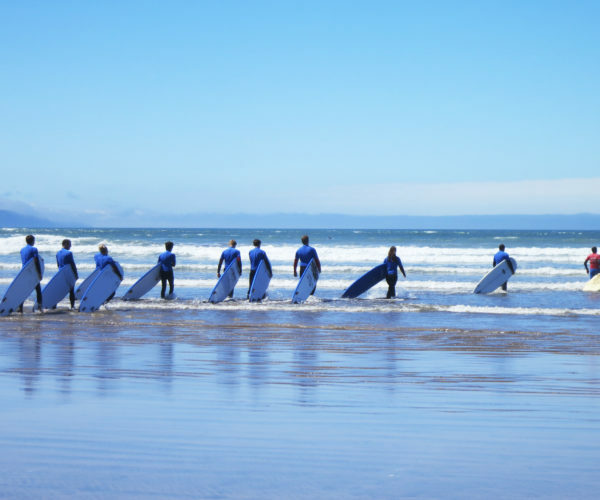 Come and learn to surf (or improve your surfing) on our idyllic North Devon coastline, we're based close to the beach at Westward Ho!, Bideford, 100m from the waves. Our instructors are fun, experienced and great at surfing - they'll help you get up on that board in no time! 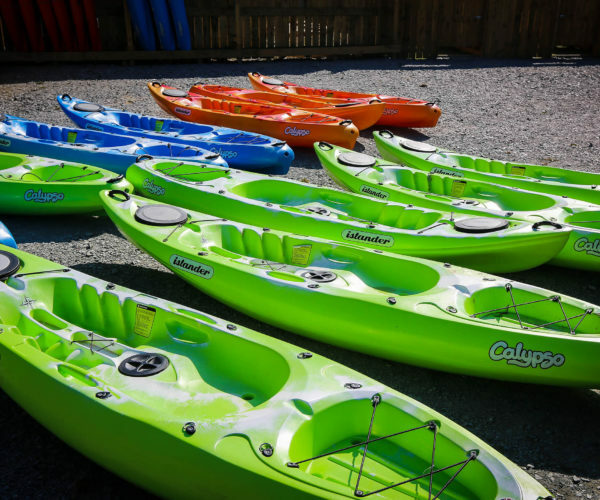 Experience the excitement of kayaking and stand up paddle boarding in North Devon. Our instructors will take you through kayaking & SUP in a dynamic 2-hour session on our stunning lake. 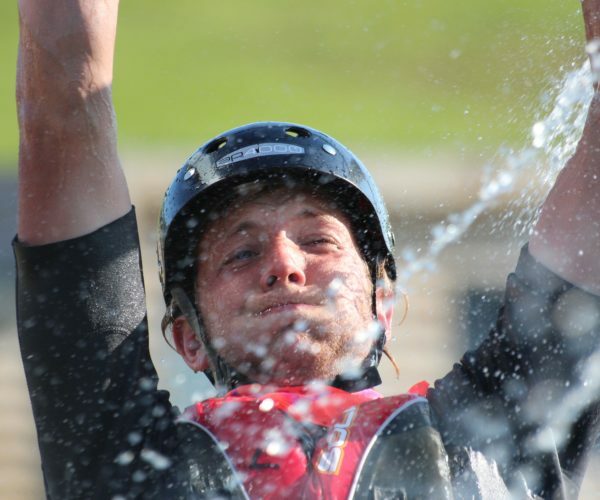 North Devon is the perfect environment for both the novices and those with watersports experience. 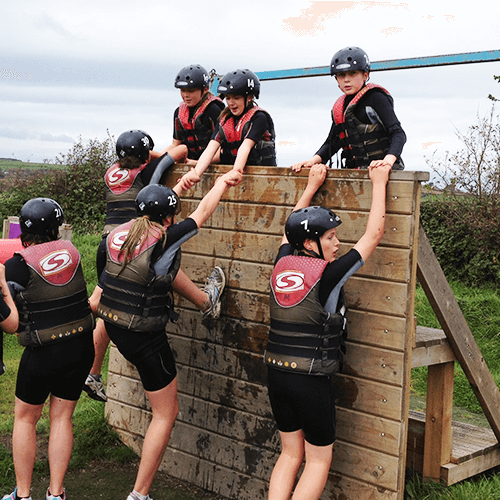 Our Assault Course in Bideford, North Devon has been designed with a range of water and land-based obstacles that challenge and test all ages and abilities. Ride the water slide and take on the ‘big balls’. You may have seen something similar on TV, but try the real thing, it's not as easy as it looks! 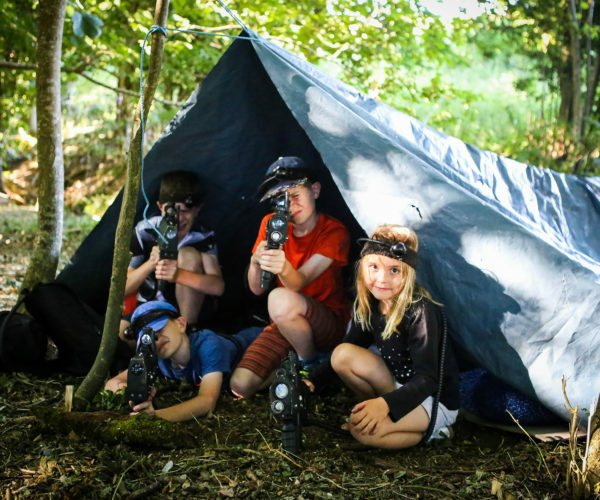 Laser Tag is a safe, fun and non contact activity – suitable for all ages and abilities in the natural landscape of North Devon. Channel your inner Rambo and use the beautiful scenery to your advantage, get your commando roll and crawl out and get the enemy in your sights. A great activity out for everyone! 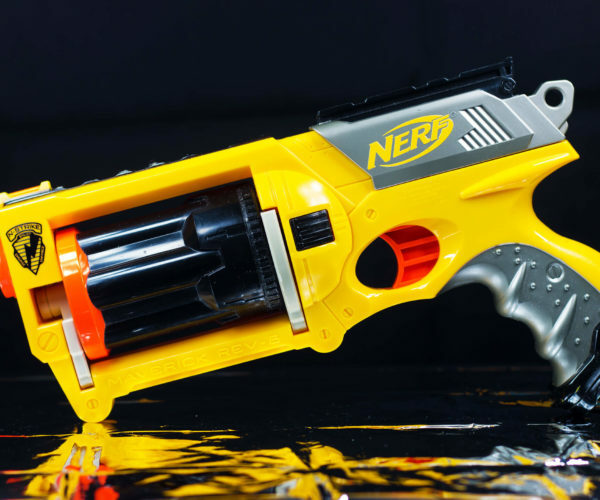 The UAC supports Nerf shooting, acknowledging that gun related activities are seen by some as no-longer suitable fun for children. We however, support the intrinsic value of young people having innocent fun, building bases, forming teams and developing tactics. 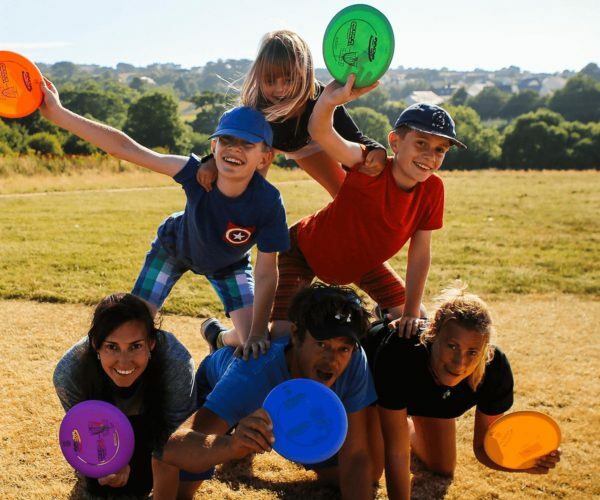 Ultimate Disc Golf is a great, low cost activity accessible to all ages and abilities. 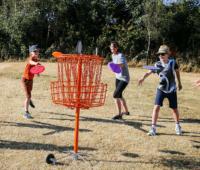 Also known as ‘Frisbee Golf’, players throw a disc towards a target basket, following rules similar to golf. Our holes have been designed with families and serious players in mind, with holes ranging from 60m – 120m. 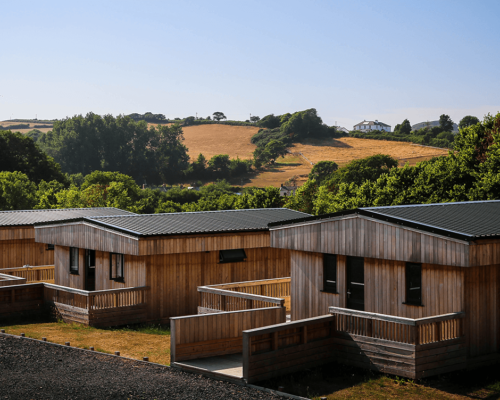 Experience new en-suite accommodation with spectacular views at our Adventure Barns in North Devon. Each sleeps 10-12 people, perfect for groups, stag & hen dos and school trips. The perfect base for your break - all at a budget friendly price. 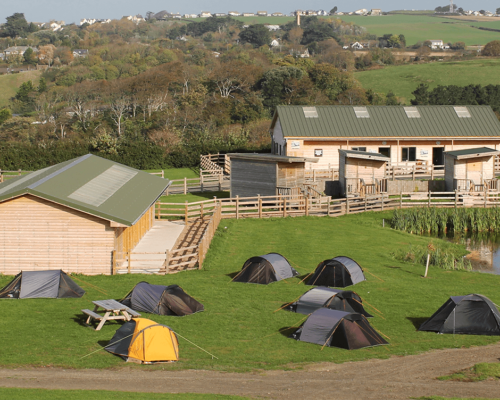 Innovative lodge accommodation in North Devon, ideal for groups and the perfect budget alternative to camping. You just bring your sleeping bag and a pillow! 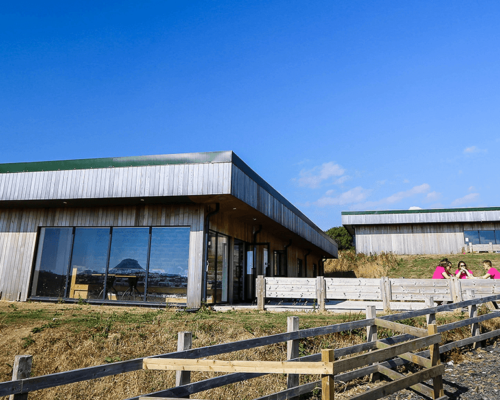 You can fit up to 16 people in a single lodge and it's the perfect base for your holiday - whether you're enjoying our on-site activities or heading off to the beach. Adventure camping in North Devon for tents, camper-vans and motor-homes. We offer a unique site, with our on-site activities just a few steps from your tent flap, the beach a short car journey away gorgeous natural scenery around. Plus there's plenty of hot showers on-hand!